Flooding and water damage events at West Greenville County commercial properties are often complex with numerous issues that require a knowledgeable and flexible response. Whether we’re dealing with a relatively small water cleanup scenario or a large scale event, we work quickly to assess each unique situation and isolate the damaged area. In many instances, normal operations can continue in a temporary space while we restore your facility. SERVPRO of West Greenville County specializes in the cleanup and restoration of commercial and residential property after a water damage event. Our staff is highly trained in property damage restoration. From initial and ongoing training at SERVPRO’s corporate training facility to regular IICRC-industry certification, rest assured our staff is equipped with the knowledge to restore your property. SERVPRO of West Greenville County is available 24 hours a day for water emergencies, large or small. When you are dealing with water damage, immediate action is crucial. A delay of just a few hours can greatly increase the severity of the water damage. We understand that when you call us, you may be feeling confused, stressed, and vulnerable. You need an expert to guide you through this crisis. 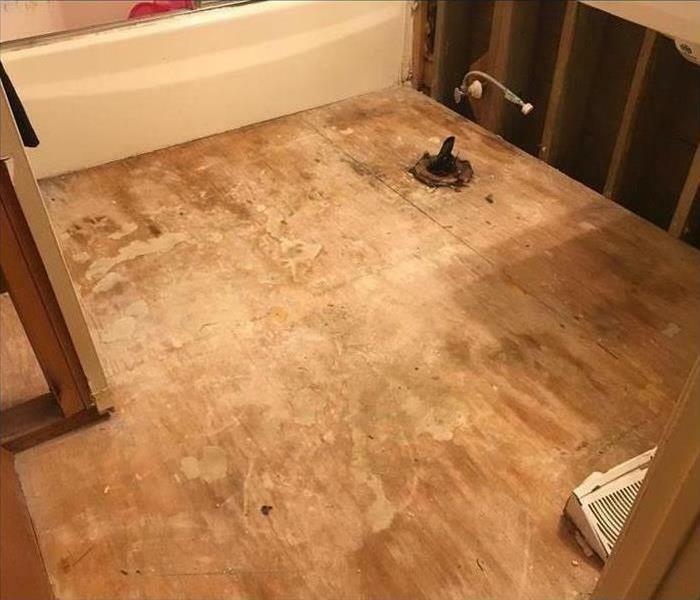 SERVPRO of West Greenville County has the specific water damage training and experience to help you through this tough time. We specialize in water damage restoration—in fact, it's the cornerstone of our business. SERVPRO of West Greenville County specializes in the cleanup and restoration of residential and commercial property after a fire, smoke or water damage event. Our staff is highly trained in property damage restoration. From initial and ongoing training at SERVPRO’s corporate training facility to regular IICRC-industry certification, rest assured our staff is equipped with the knowledge to restore your property. Does Your West Greenville Home Have a Mold Problem? Mold can spread quickly in your home or business in as little as 48 hours. If your home or business has a mold problem, we can inspect and assess your property and use our specialized training, equipment, and expertise to remediate your mold infestation. This is an after photo from a bathroom that experienced water damage. Last week the West Greenville County experienced a lot of rain. We know the effects heavy rain and storms can have on your home. If you experienced any water damage last week call SERVPRO of West Greenville County today. We are a 24/7 restoration service that specializes and water damage restoration. Whether your home was damaged from rain, or a pipe breaking, we are here to help you. We have the expertise and equipment to properly restore your property. The water removal and water cleanup process is completed by our highly-trained technicians who will document the drying process. This validates that your property has been dried properly and thoroughly. SERVPRO of West Greenville is here to help you and your home or commercial building. Call us today if you have experienced water damage. During the winter and holiday season people use their fire places more. Be sure to clean out your fireplace and watch the fire until it is completely burned out. Throughout the holiday season people tend to cook more. Many people will start cooking and leave their food unattended. If you are cooking in the oven, do not forget to turn it off!! Make sure the lights you choose to decorate with do not have frayed wires. This could easily start an electrical fire. We recommend you do not leave lights up year round, as the chances of that strand catching fire increases. People also tend to light more candles during the winter and holiday season. According to the National Fire Protection Association, four of the five most dangerous days of the year for residential candle fires are Christmas, Christmas Eve, New Year’s Day, and New Year’s Eve. If you light a candle make sure it is away from anything that could blow on it and catch fire. Also make sure it is on a sturdy surface and you don't forget to blow it out. 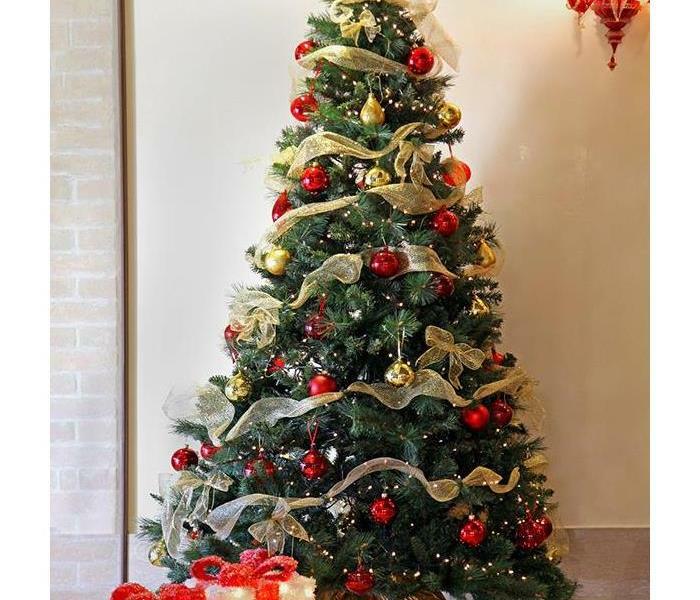 It is very common for a christmas tree to catch fire if it is not treated properly. Make sure you water your christmas tree if it is real in order to reduce the chance of it catching fire. If you happen to experience a fire don't forget you can call SERVPRO of West Greenville County at 864-292-8570!! SERVPRO of West Greenville is an IICRC firm. The Institute of Inspection, Cleaning and Restoration Certification (IICRC) creates the standards for the restoration industry and provides training and certification to restoration companies. 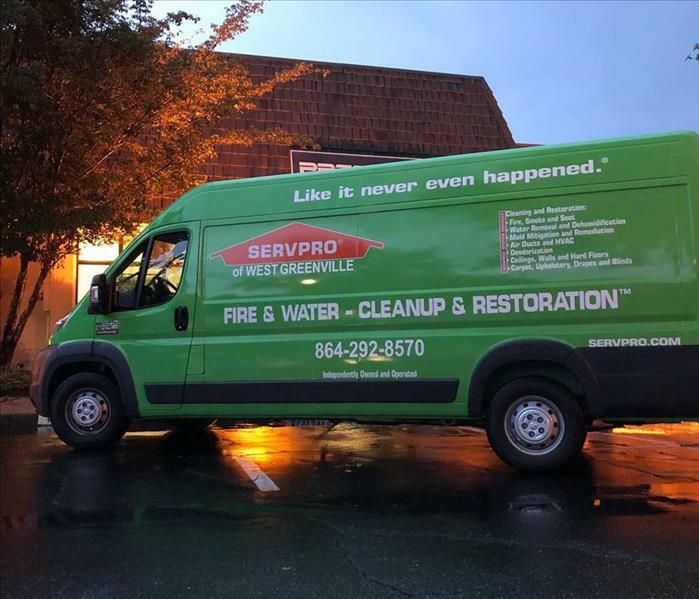 SERVPRO of West Greenville specializes in the cleanup and restoration of residential and commercial property after a fire, smoke or water damage event. Our staff is highly trained in property damage restoration and we are an IICRC Certified Firm. We believe in continuous training: from initial and ongoing training at SERVPRO’s corporate training facility to regular IICRC-industry certification, rest assured our staff is equipped with the knowledge to restore your property. SERVPRO of West Greenville County understands the stress and worry that comes with a fire or water damage and the disruption it causes your life and home or business. Our goal is to help minimize the interruption to your life and fix the issue as soon as possible. SERVPRO of West Greenville County specializes in the cleanup and restoration of residential and commercial property after a fire, smoke or water damage. SERVPRO of West Greenville County can also mitigate mold and mildew from your home or business. Our staff is highly trained in property damage restoration. From initial and ongoing training at SERVPRO’s corporate training facility to regular IICRC-industry certification, rest assured our staff is equipped with the knowledge to restore your property. With a nationwide system of qualified franchises, no damage is too large or too small for SERVPRO of West Greenville County. 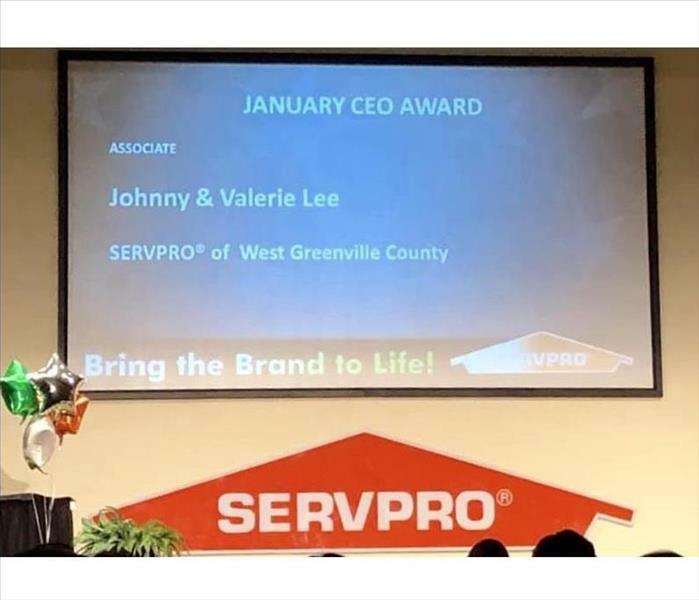 Serving West Greenville County since 2016, SERVPRO of West Greenville County takes great pride in doing our part to ensure the community is the best it can be. If you do have mold, call SERVPRO of West Greenville County to complete your mold remediation! Mold can spread quickly throughout your home in as little as 48 hours. If you suspect that your business or home has a mold problem, call SERVPRO of West Greenville County at 864-292-8570 to inspect your home and complete mold remediation! We are highly trained mold remediation specialists and use advanced mold remediation techniques and equipment to get your home mold free as soon as possible. Fire safety is a very important thing to be aware of, and everyone should know the basic safety procedures to prepare for a possible fire and what to do if a fire occurs. Test smoke alarms every month to make sure they are working properly. Plan and discuss a fire escape plan with your family. Escape immediately using the best route. If a door handle or door feels warm, do not open it and get out of the home using a different route. Once you are out to the building call 911. Never go back inside for anything. If your clothes catch on fire: STOP, DROP, and ROLL! If you're stuck inside the house, cover any area where smoke might get in and find a way to signal help that you are still in the house. Do this by either calling 911 and telling them, or find a flashlight or phone light and hold it up to a window. These are just a few of the basic rules in dealing with home fires. If you experience a home fire, SERVPRO of West Greenville County is here to make this hard situation much more bearable. Call us at 864-292-8570 if you need help restoring your home after fire damage! 3/29/2019 - Does Your West Greenville Home Have a Mold Problem?